Let Bucky Badger come golfing with you next time with these golf balls! Pack of 3 Wilson Ultra 500 golf balls each detailed with Bucky. Ultra durable cover and high energy core generate maximum initial launch and ball roll in all conditions. Show your Wisconsin Badger pride on the course with this three pack of golf balls. Pack includes three Wilson Ultra golf balls detailed with a motion W.
Show off your love for Bucky Badger while keeping your driver safe. The headcover is designed to fit most 460cc drivers. The sock to the top expandable inner sock lining ensures a proper fit on your golf club. A must have for every Wisconsin Badger golfer! White microfiber golf towel with a motion W and "Wisconsin" embroidered on the front. It has an ultra-absorbent waffle weave and is large enough to keep part of the towel wet and part of it dry. Show off your Wisconsin Badger spirit while you are on the course with this ball marker and repair tool set. The patented CVX ball mark repair tool utilizes a 19 degree angle and convex curve to promote the correct forward motion to properly repair ball marks. The tool is ergonomically designed for comfort while repairing the course. The magnetic front holds the Wisconsin ball marker. Set includes two iron stamped ball markers and repair tool. Show off your Wisconsin Badger pride even on the course with this head cover set! The set includes a driver, fairway, and hybrid covers. The covers are specifically tailored to fit your clubs with tags that identifies your driver, fairway, and hybrid. All three of the covers are Wisconsin Badger red with an embroidered Wisconsin motion W. All covers are constructed of durable 420D nylon with expandable sock that provides maximum shaft protection. The driver is designed to fit most 460cc clubs. Mark your ball and show off your Wisconsin Badger spirit with this hat clip and ball marker set. The set includes a hat clip with two magnetic ball markers. The markers are iron stamped and feature the Wisconsin motion W.
Show off your Wisconsin Badger spirit on the course with microfiber towel. Featuring an embroidered motion W and "Go Badgers" of the front. Measures 19″ X 41″ and made of a microfiber ultra absorbent waffle weave. The soft finish is perfect for removing debris from clubs without scratching their finish. Large enough to keep part of the towel wet and part of the towel dry. This 4 pack of ball markers if perfect for any Wisconsin golfer! The set includes two oversized 40mm ball markers and two 25mm iron-stamped ball markers. All four feature Wisconsin Badger logos. This putter cover is a great way to show off your Wisconsin Badger spirit on the golf course. 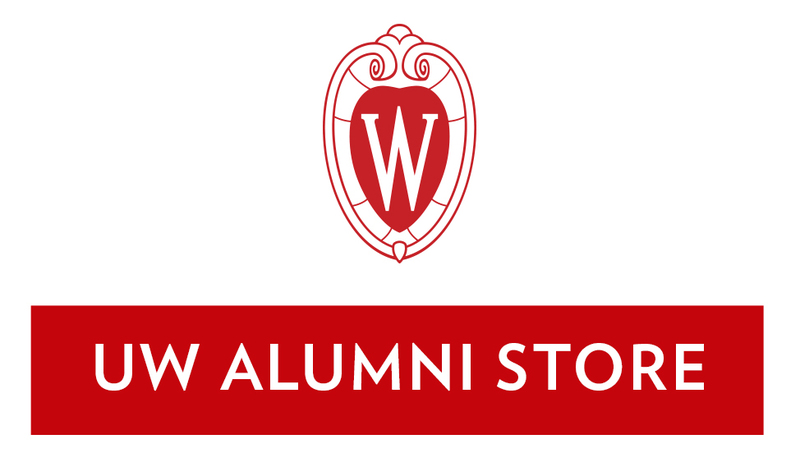 The motion W, Bucky Badger, and "Badgers" is embroidered on the cover. The Wisconsin blade putter cover is very high quality, water resistant on the outside and soft fleece on the inside. Show off your Wisconsin Badger spirit on the golf course. The fairway headcover is embroidered with three trademarks: "Wisconsin", "Badgers", and motion W.
Support the Wisconsin Badgers on the golf course by protecting your driver. The motion W is embroidered on the top of the driver headcover. "Wisconsin" and "Badgers" are embroidered in white as well. It is designed to fit most 460cc Drivers.